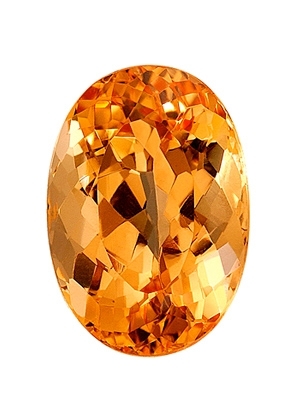 Citrine is a gemstone variety of the quartz. It is named from the French word for lemon, citron, many citrines have a juicy lemon color. Sunny and affordable, citrine can brighten almost any jewelry style, blending especially well with the yellow gleam of polished gold. In ancient times, citrine was carried as a protection against snake venom and evil thoughts. Citrine is found in Brazil, and is the alternate birthstone for November.